The Perfect Gift for every occasion! Undecided what to get them? 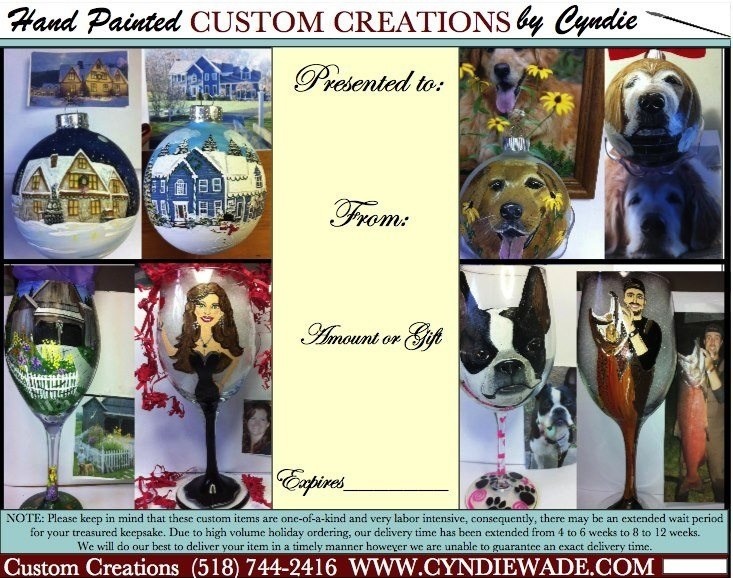 A gift Certificate from Custom Creations lets the recipient choose what they would like painted. Choose from online printable certificates emailed directly to you… Or a glossy Certificate gift wrapped with gift card mailed directly to the recipient’s home or business.